April 26, 2018  On knock knock, DJ Koze is more accessible than ever, without losing his essential strangeness. Róisín Murphy, Lambchop's Kurt Wagner and José González guest. July 29, 2016  DJ Koze knows that turning a great pop song into a timeless club bomb involves simple tweaking, not full-scale reinvention. 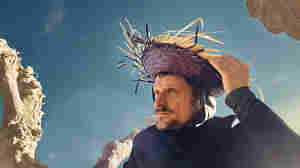 March 17, 2013  DJ Koze isn't afraid to bring the quirk. His largely collaborative new album may seem willfully off-kilter but feels just right.